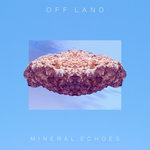 Continuing where On Earth left off, Mineral Echoes explores further into the realm of 90′s influenced ambient/electronic music. This five track mini-album was recorded around the same time as On Earth, as both play well in succession. How's 50 minutes a mini-album ? Excellent, be purchasing this swiftly when I get some cash. Pandemonium wrote: How's 50 minutes a mini-album ? White Lines is a release lost in time. This EP/mini-album was planned for release in 2009 as a followup to the album 'Blue Narration'. The tracks on White Lines began life during the 'Blue Narration' cycle, but the release never materialized. Some tracks from the EP eventually found there way onto various compilations in the years that followed. Jump to 2018 and the tenth anniversary of 'Blue Narration'. 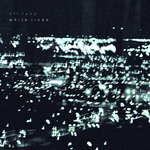 To commemorate the tenth anniversary of the second full-length Off Land album, White Lines has been found anew. The release has been restored, remixed, reworked, and modernized to form a bridge between 'Blue Narration' (2008), Eventide Passage (2012), and this year in Off Land (2018). Lines is a drastic mash-up and complete reworking of the original Lines and Lines (recon). Lesley Point contains only faint elements of the original. Dry Vortex, gives the same dusty feeling that the 2008 version did. 13th Century Kitichi deviates greatly, using original MIDI files as the starting point. Arizona, the most mysterious track on the EP, has been remixed beyond recognition. Finally Weeds closes the album with a revitalization of the original recording. To complete the release and purpose of proper archiving, the original version of White Lines is included as bonus tracks. These five tracks appear as they were originally recorded between 2007-2008. The only change is that they have been newly mixed remastered for this release. 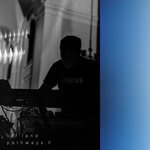 Pathways is a series of releases comprised of improvised music recorded during live performances. Free to download.